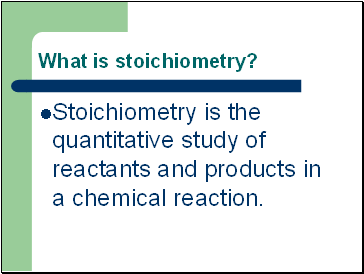 Stoichiometry is the quantitative study of reactants and products in a chemical reaction. 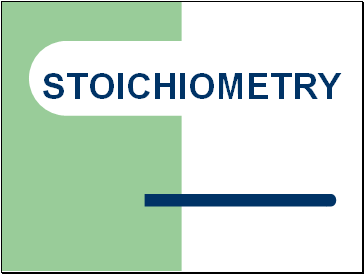 Question: how much of products can be formed. 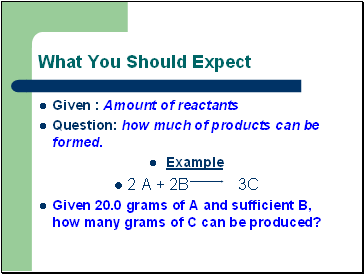 Given 20.0 grams of A and sufficient B, how many grams of C can be produced? 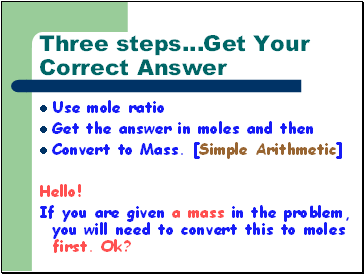 conversions between grams and moles. 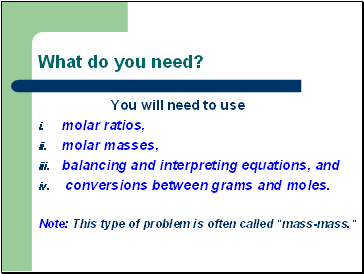 Note: This type of problem is often called "mass-mass." 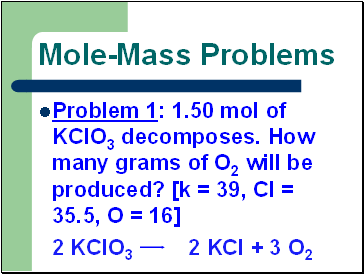 Using the molar mass of the given substance, convert the mass given to moles. 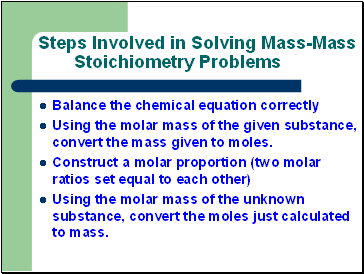 Using the molar mass of the unknown substance, convert the moles just calculated to mass. 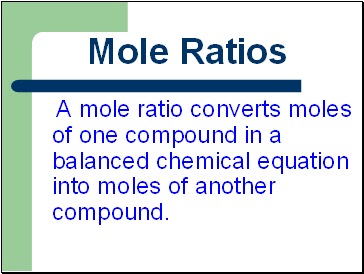 A mole ratio converts moles of one compound in a balanced chemical equation into moles of another compound. 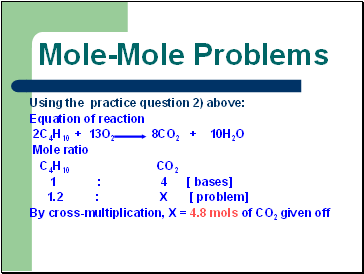 Write the mole ratios for N2 to H2 and NH3 to H2. 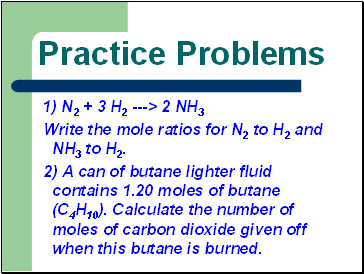 2) A can of butane lighter fluid contains 1.20 moles of butane (C4H10). 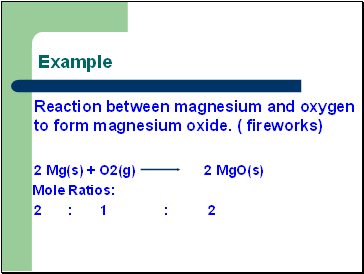 Calculate the number of moles of carbon dioxide given off when this butane is burned.